While the Galaxy Note 7 was an utter disaster, Samsung is still relying on the popularity of its predecessor, the Galaxy Note 5. One of the most exciting features that it came with is Air Command, which allows you to access a bunch of utilities quickly from any screen. But did you know that you can get Galaxy Note 5’s Air Command feature on Android? As impossible as it may seem, a developer has recreated the Air Command feature in the form of an app. However, since Air Command is proprietary to Samsung, you won’t find this app online. Instead, you will have to download and install it manually on your Android device. Since the app is not available on the Google Play Store, you need to download and install the .APK file directly onto your phone. Once you have enabled Unknown Sources from Settings-> Security menu, use the link given below to download the .APK file. Once you have installed the Note 5 Air Command app, go ahead and open it to get started with the set-up guide. From the next screen, you will be able to choose the theme of the Air Command, which essentially means choosing what the floating icon will look like. Once you have selected the floating icon that suits your style, press the Start button at the bottom of the screen. Now that you have enabled the app, you will be able to see the Air Command floating bubble on your Android screen. Admittedly, it is the S Pen of the Note 5 that makes it so good, but the ability to get Galaxy Note 5’s Air Command feature on Android is a pretty big deal. With the help of the newly installed floating bubble, you can double-tap it to open recent apps, single-tap to head back to the home screen, and long-press the icon to open four utility options. 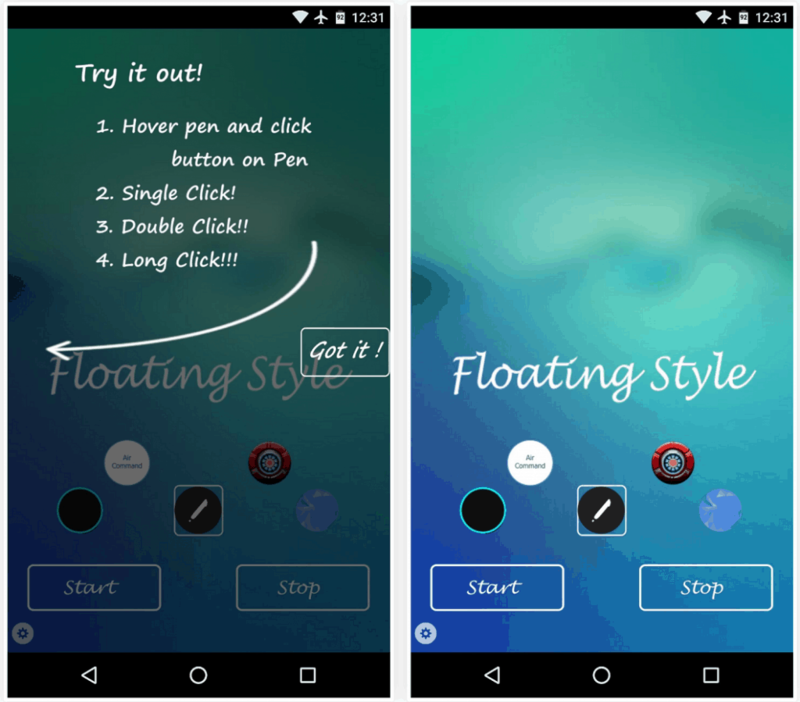 By long-pressing the floating bubble, you can Take a screenshot, open the Notepad for a quick jot down, open Recent Apps and access the Quick Apps section. 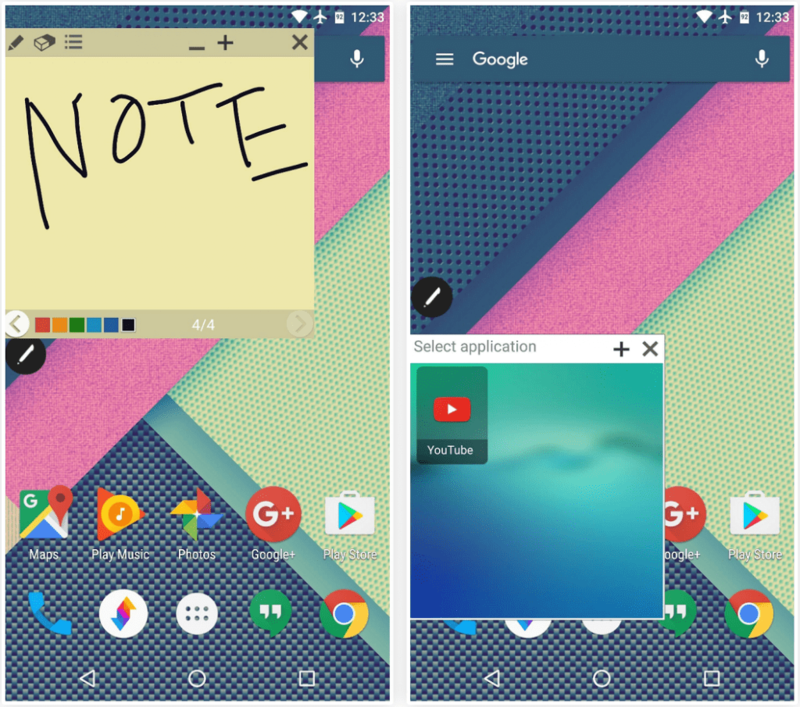 Even without the S Pen, the Notepad app works incredibly well with the finger as well, and so does the ability to have quick access to your favorite apps. 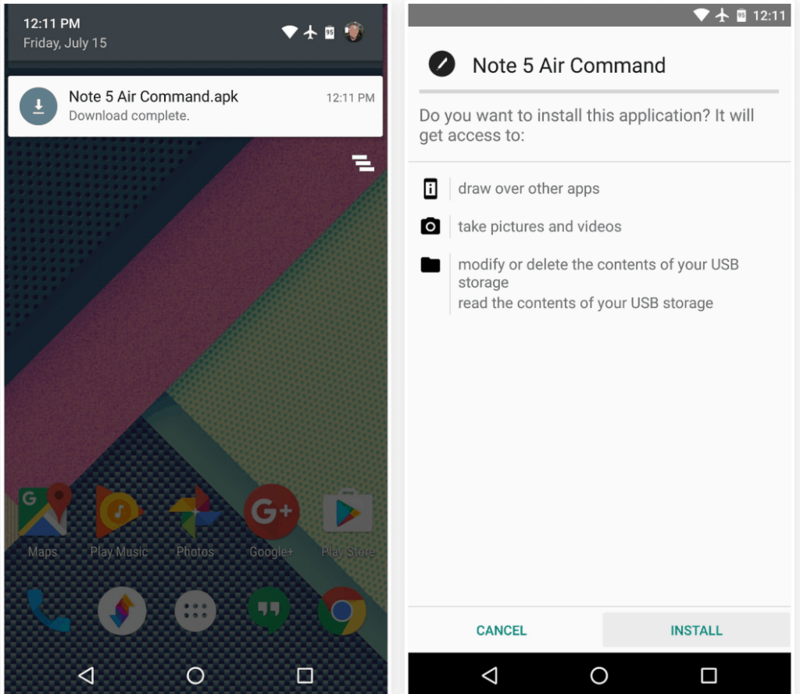 Have you tried to get Galaxy Note 5’s Air Command Feature on Android yet? Do share your thoughts on how well the app works with regular Android devices in the comments section below.